Cleanband is an Internet filtering system that provides the maximum control to clients irrespective of technical ability. We provide a transparent network filter for Internet Service Providers to serve the home and SME markets. Cleanband immediately adds value to your offering and is fully scalable. See how we can help you enhance your customer offering and aid with Active Choice. 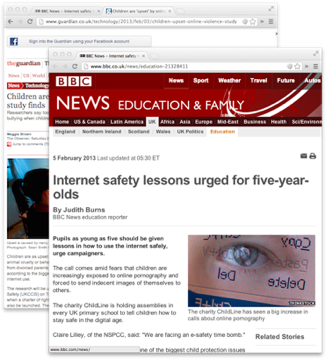 See how we helped leading MSP Claranet in the UK develop their family security product Childsafe. We have created our own technology platform to give families a better, safer, Internet experience, something that is core to us as a business.